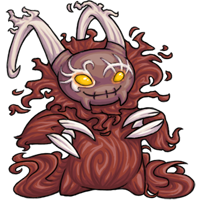 The Jaaku is a very unusual Creatu. 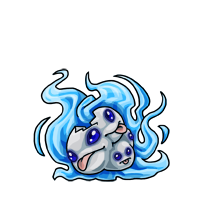 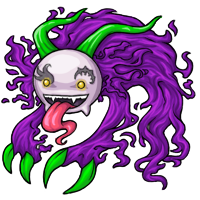 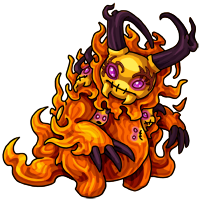 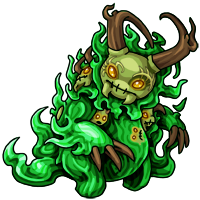 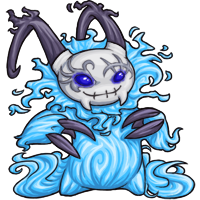 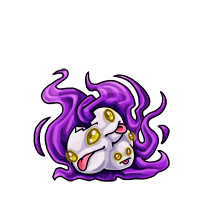 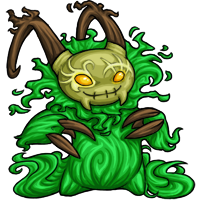 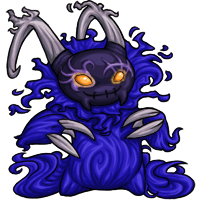 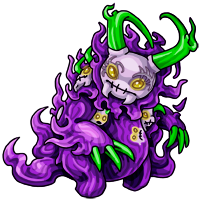 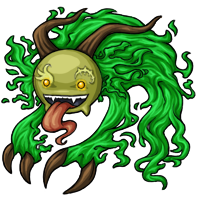 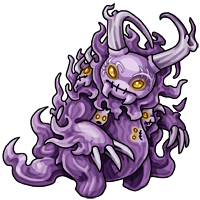 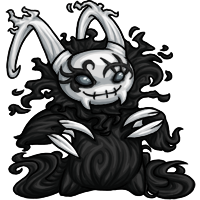 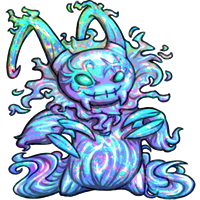 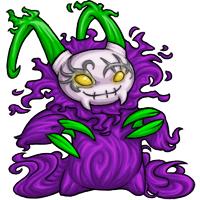 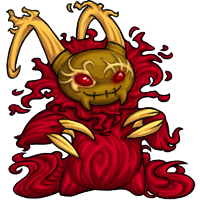 When any Creatu dies, their spirit lingers for some time, hoping for their companion to return and reclaim them. 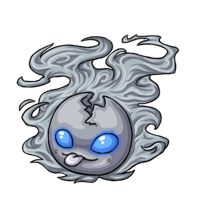 If this does not happen, the spirit of the Creatu usually dissipates for good. Yet in some cases, the spirit retains far too much will in the form of anger or grief to simply let go. The spirit will then transmute its abandoned body into the form of an egg in order to give it a place to stay, safe and preserved. 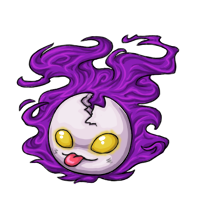 Around Halloween, the eggs begin to appear around Relcore, summoned by an ancient magic which all spirits answer to. 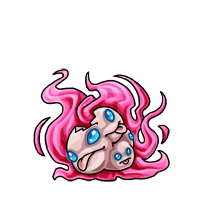 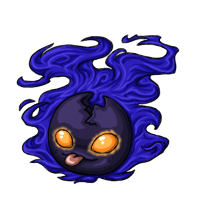 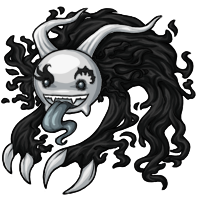 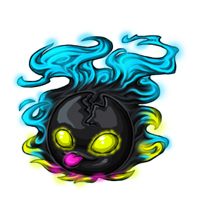 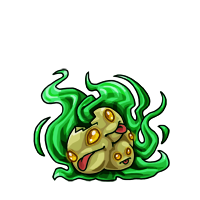 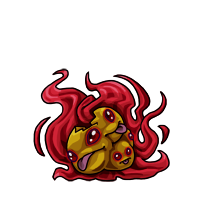 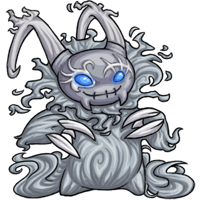 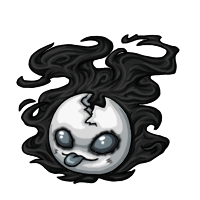 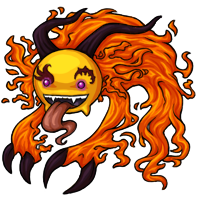 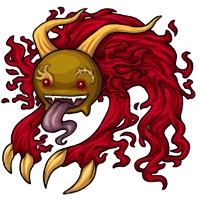 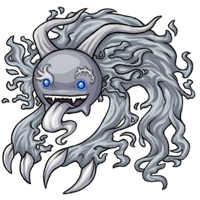 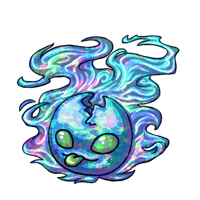 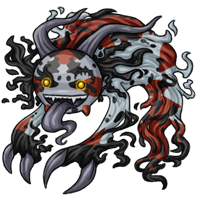 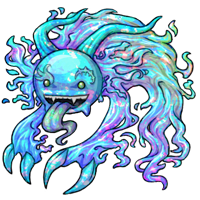 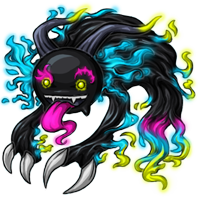 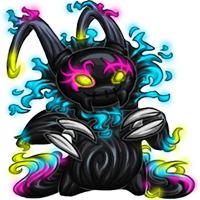 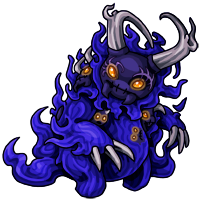 Those lucky enough to find and hatch the Jaaku egg will then find themselves with a Creatu companion made of pure, dark energy. 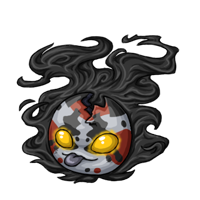 They learn quickly to solidify their substance or become as insubstantial as they wish; sometimes insubstantial enough to pass through walls. As they grow older, they can even fade slightly, their body becoming more like vapor and difficult to see. 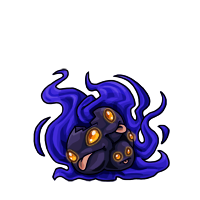 They prefer wandering at night and occasionally enjoy spooking friends by showing just their eyes in the darkness. 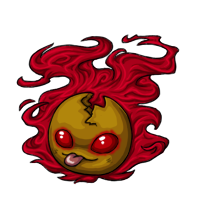 Typically a Jaaku does not remember the circumstances under which its spirit became an egg, but should one begin to be ignored or abused it may remember. The Jaaku then becomes a Creatu of vengeance, and its harmless tricks will become more serious. 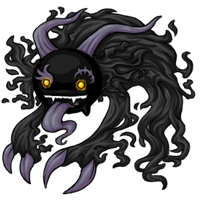 Should you intend to keep such a Creatu, be certain your feelings are sincere.